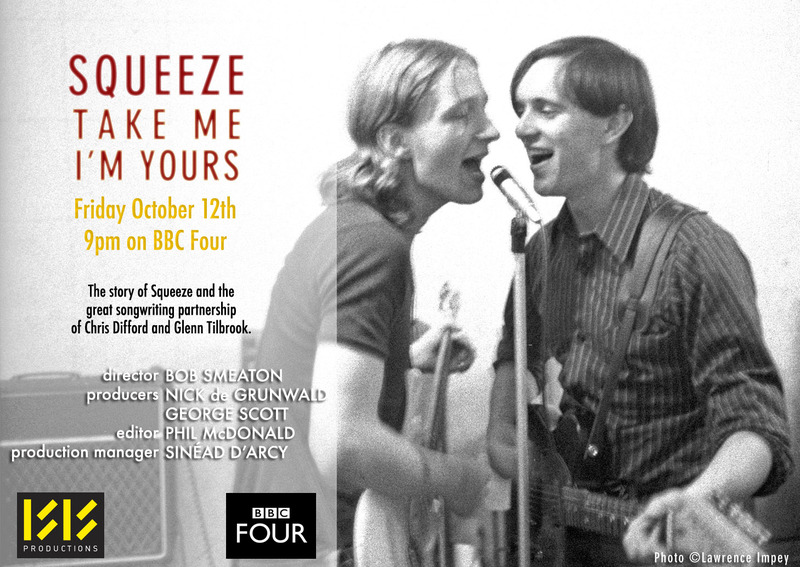 The great news is that the BBC4 documentary on Squeeze is being broadcast this Friday 12 October at 9pm. I spent quite a bit of time researching the Squeeze archive to get memorabilia and photographs for the programme, so it’ll be interesting to see if any of them are in there! Thankfully photos by Lawrence Impey and Mitzi Bagpuss will definitely be in there. Watch, enjoy and type your review. You’re in for a real treat. 7 Responses to "BBC4 Documentary to screen this Friday 12 October"
What an AMAZING documentary! Thoroughly enjoyed it and it brought back loads of great memories associated with the music. It was a real bonus to hear the lads playing acoustic guitar versions of their songs, even if just in little sound bytes. Here’s hoping the BBC will release a BluRay version of this and maybe include some full bonus tracks of the lads playing acoustic. WELL DONE and THANKS! Yes, I really enjoyed it too Christopher – a really well done documentary. Hopefully there will be deleted scenes or ever better, the film will be extended should it see a commercial release. I was very impressed with the light in which it painted Squeeze. Would love to see this in the US, as there are so many Squeeze fans here. Is there any way to make this available to us? The US thanks you for the link.